Summer hours in effect APRIL 1 ! 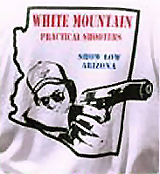 The White Mountain Practical Shooters is a USPSA/IPSC club. 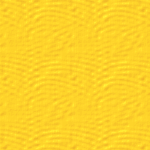 We were founded in 1998 with the objective of Being Safe and having FUN! If you enjoy your firearms, and want to protect your rights to own and use firearms, contact your legislators and let them know your feelings. Practical shooting is a sport enjoyed all over the world. It involves the use of firearms in simulated situations where you might be forced to defend yourself. Handguns are our primary focus, with two matches a month (weather permitting) on the 2nd Sunday and 4th Saturday of each month. A Rifle match is held on the 2nd Saturday of each month. 3 Gun matches are held the 1st Saturday every other month. 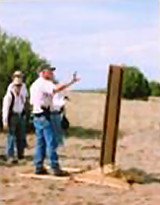 A Special Classifier Pistol match will be held opposite of the 3 Gun match on the 1st Saturday of every other month. Check the Schedule & Results page for specific dates. The "stages" that are set up for handguns include targets that are placed anywhere from point blank distance to 50 yards away. They may be paper targets, steel plates, or knock down steel targets called “Pepper Poppers” after their inventor, John Pepper. After the course of fire is described to everyone, you get to try your hand at the course. We rarely repeat a course of fire, so the challenges are always different. Your score is divided by your time, measuring both speed and accuracy. The person with the best score in the shortest time is the winner, although we place no emphasis on winning. We want you to: A) be safe, B) have fun, and C) learn something. Eye protection (to be worn at all times). If you are a member of both WMPS and WMSA $12.00. If you are not a member of both clubs $16.00. Are there divisions for different types of guns? Absolutely! Open – Optic sights, compensators, long barrels, any safe modification. Limited – Race guns without optic sights or compensators and magazines 140 mm in length or less. Limited 10 – Factory stock guns with 10 rounds or less in the magazine. Production – Double action/Safe Action, Glocks, Springfield XD’s, etc. Single Stack – 1911 style guns with single stack magazines. Carry Optics - A Production gun with an Optic sight, loaded to magazine capacity. PCC - Pistol Caliber Carbine, usually an AR-15 style carbine chambered in 9 mm. But anything in this style works (Sig MPX, CZ Scorpion EVO 3, etc..) Optic sights allowed. For USPSA definitions of acceptable competitor equipment for a respective division look at Chapter 5 and the appendices beginning on page 74 of the USPSA Rule book. Check the Schedule & Results page for specific times and dates. At the Second Knoll Range on Highway 60 just outside of Show Low.